This is a good one for sure! 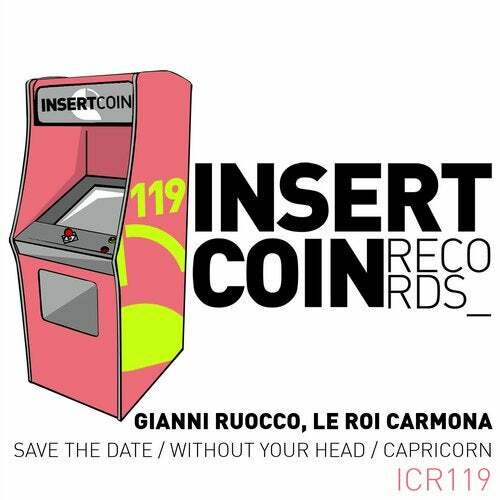 Gianni Ruocco and Le Roi Carmona, strikes back at Insert Coin with a fat, chunky and sturdy release! A three tracks bomb it is, kicking off with Save the Date, perfect starter combining a leading bass, immersive FXs and a speed up low-key vocal. Next up youll find Without Your Head, pumped-up tech with modular sounding and a very clubby vibe and last but not least you got Capricorn, classic tech house, seasoned with tribal sounds and backing vocals that knows to boost up a crowd. BRADII, LucaJLove, Juanito, Space Jump Salute, DJ Fronter, Luca Lento, Matt Caseli, Alec Troniq, Disaia, Kevin Corral, PEZNT, Wise D & Kobe, Lost Focus, Pierresat, Tenova, Bruce Banner, Roger Vasha, Norwood & Hills, Paul Cart, Stefano Crabuzza, Tobi Kramer, Marco C.